Print advertisement created by Leo Burnett, Saudi Arabia for McDonald's, within the category: Food. Gold Fish sandwiches. That is not appetizing at all. Nice try... I applaud for the visual design. It made me snigger. Quite funny. this is much too literal!! and not appetizing at all!! i wonder how the client approved this! As weird as this is, I like it a lot. Damien Hirst/Marco Evaristti-esque, and attention getting. Are they selling goldfish burgers ? 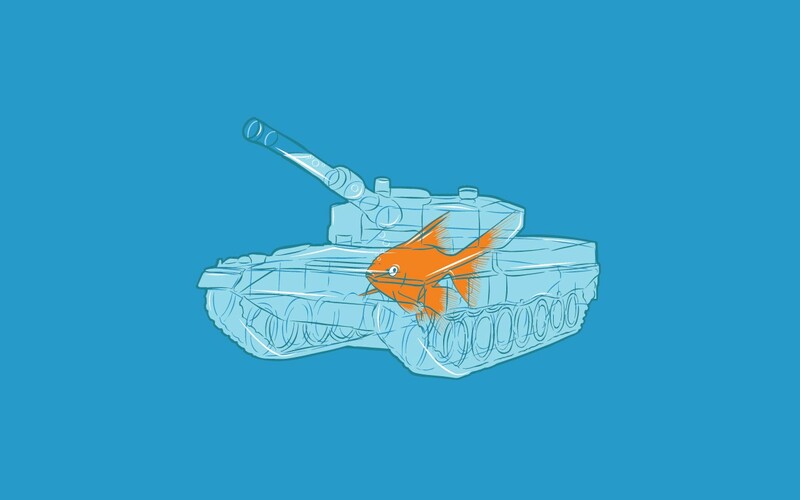 Poor goldfish. The bowl is waaay too small for the fish's size. nice visuals and not happy with the typo..